GlaxoSmithKline reported fourth-quarter results slightly ahead of both Morningstar analyst and consensus expectations, but we don't expect any major changes to our fair value estimate of £17.90 per share, above the current price of around £15.20. We continue to view the stock as undervalued with the firm reaching an important inflection point, moving beyond generic launch of respiratory drug Advair in 2019 to a solid position in HIV, vaccines, and consumer along with a significantly improving pipeline with an increased focus in oncology. This strengthening outlook post-Advair declines also reaffirms our wide moat rating, which means the company has a strong competitive advantage. GSK expects generic competition to Advair to knock between 5-9% of earnings per share in 2019. Results beat analyst expectations, with £8.2 billion of sales in the fourth quarter, against forecasts of £7.95 billion. For the full year, group sales were £30.8 billion, a rise of 5% on 2017 at constant exchange rates. The company declared a dividend of 23p for the fourth quarter and 80p for the full year, meaning that the shares yield over 5%. 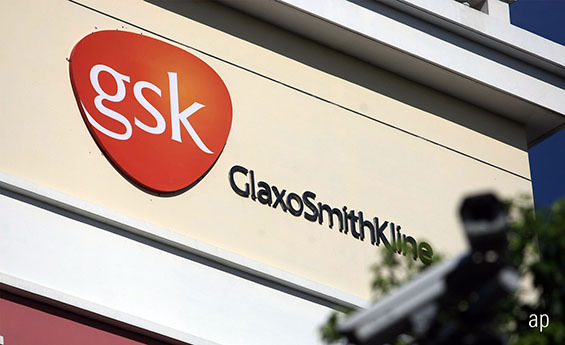 GSK has guided that an 80p dividend is expected for 2019. While the magnitude of lost Advair sales is uncertain, as Mylan recently gained US approval for a generic Advair, we expect US Advair sales will decline by more than 60% in 2019. With the drug representing close to 8% of total sales, the generic headwinds are likely the main reason for the 5%-9% decline in projected 2019 earnings by the company, which is in line with our expectations. Also, we expect some carryover impact to Glaxo's next-generation Advair drug, Breo, which only offers a slight dosing advantage of once daily versus twice daily. We project US Breo sales to fall 15% in 2019. As the uncertainty around the timing of generic Advair is removed, the company is well positioned is several other areas. In HIV, current sales posted 6% growth, and we expect next-generation doublets and long-acting drugs to help support steady long-term growth. Within vaccines, Shingrix is well positioned to become a major blockbuster due to leading efficacy. Also, in consumer, the recently announced joint venture with Pfizer should create a powerhouse with leading scale in marketing and distribution. In the drug development pipeline, we are impressed with the ongoing shifts toward areas of unmet medical need, which is critical in the current payer environment. Instead of working toward slight enhancements of currently marketed drugs, Glaxo's shift back to oncology with Zejula, BCMA, and M7824 support an important strategic shift in drug development.